After putting out the underwhelming Painting With in early 2016 and paying their dues on the road in support of it, Animal Collective have been cleaning out their closets. First came Deakin’s long-awaited solo debut, Sleep Cycle, which was kicking up dust since 2009. An EP of Painting With outtakes, The Painters, dropped exactly a year after its predecessor. In April of 2017, the band put out Meeting of the Waters, the first album featuring only Avey Tare and Geologist. By summertime, we got Avey Tare’s second solo album Eucalyptus, and in January of this year, Panda Bear released the vinyl-only A Day with the Homies. Now, as August wanes, the new visual album Tangerine Reef has been let loose. On top of all that, Avey Tare and Panda Bear have been revisiting the album that put the group on the map, Sung Tongs, with a world tour. Most of the post-Painting With material has an ambient quality in comparison to the totally bonkers, everything and the kitchen sink songwriting kick Animal Collective’s been on since Centipede Hz. It’s possible they’ve exhausted that mode and are finding inspiration in the stripped-down experiments of their early days. Eucalyptus, Meeting of the Waters, and Tangerine Reef sound like the direction a less shapeshifting Animal Collective could have taken after Campfire Songs and Sung Tongs. Though a full-length album, Tangerine Reef is another sideshow in the Animal Collective catalog. It’s closest in kin with ODDSAC, the group’s first visual album that followed Merriweather Post Pavilion. In sound, Tangerine Reef is reminiscent of Meeting of the Waters, the Record Store Day release, which was developed for the Viceland series Earthworks. The recent outpouring of side projects has reflected Animal Collective’s philanthropic side. Deakin’s solo record was originally conceived as a means for donating proceeds to a Malian NGO helping the enslaved Tuareg people. Meeting of the Waters was inspired by a trip to the Amazon River and the environmental degradation there. Tangerine Reef was produced in celebration of the 2018 International Year of the Reef to raise further awareness of ocean’s vulnerability. The album draws inspiration from Koyaanisqatsi, the classic experimental film from 1982 scored by Philip Glass. The songs themselves are tonal, with little rhythm and almost no percussion; it’s a soundtrack. Panda Bear’s absence is obvious, though it turns out to be a strength. The atmosphere is meditative, patient, drippy, and a little spooky. Avey Tare’s voice even syncs up with some swaying of anemones. A strong percussive element would be too distracting, too energizing. “Coral by Numbers” is a clear high point in the tracklist. Its prickly samples bring to mind Björk’s Utopia from last year. The instrumental song “Coral Realization” is the record’s noisiest track. It’s intriguing, though also grating, without feeling overwhelming. “Hip Sponge”’s repetitive vocals are a welcomed change of pace, infusing the album with a bit of sorely missed pop. Last song, “Best of Times (Worst of All)” has its own repeated vocals and features the only moment of percussion on the album. Some lite tinny beats escape as we say goodbye, and the camera zooms out on our underwater friends. We’re left with a psychedelic circle; it’s beautiful, beaming with life, yet fragile. At the moment, Animal Collective seem to be purging music in their solo careers and under the AC banner. Panda Bear’s A Day with the Homies was a collection of disparate singles that saw him exploring new territory with a lack of cohesion. Deakin’s freed himself of his first solo album. Avey Tare’s been especially active, and everything he’s touched has been the opposite of Painting With. He and Panda Bear recently debuted a new acoustic track on the Sung Tongs tour. The Meeting of the Waters and Tangerine Dream records were heavy on atmosphere. They’re products of time and place, in collaboration with outside members. 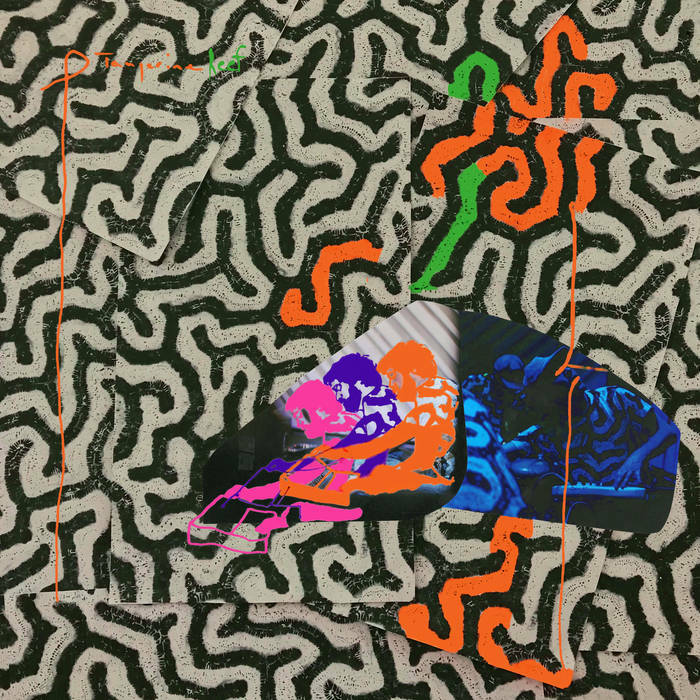 All of this output seems to point toward a reinvigorated Animal Collective that’s experimenting with form and content and building towards a new sound.